Sales and marketing alignment is the process of defining how sales and marketing can work together under one comprehensive strategy to drive more value compared to separate marketing and sales strategies. That’s where we come in. We generate interest in your brand, product or service and measure that interest using various tactics and strategies. Create a digital (inbound) marketing strategy to improve your metrics, using marketing techniques that generate quality leads, including search engine optimization (SEO), email marketing, content marketing and website integration. Help you become a thought leader within your industry by continually producing great editorial content for your site, blog and social media channels. 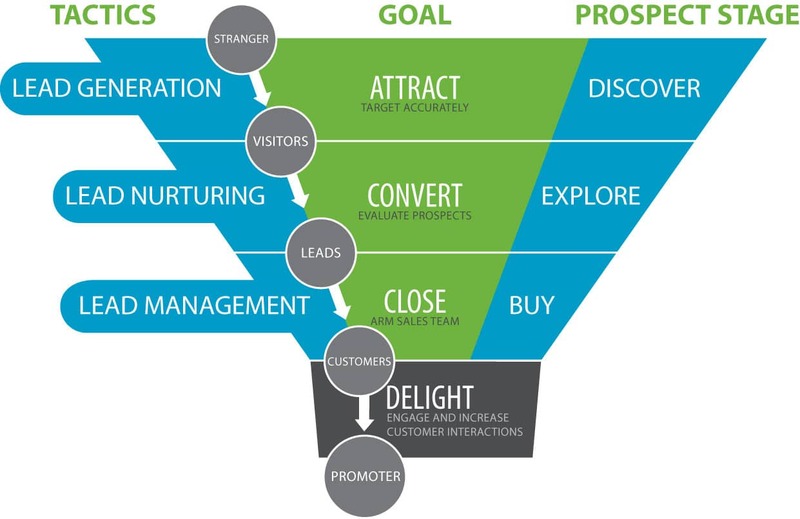 By pinpointing the exact source of your digital engagements—right down to the individual lead, social media channel, company, blog post or keyword—we can identify exactly how your B2B lead generation strategy is working and use that data to improve upon it, ensuring you get maximum return on investment. When sales and marketing teams work together, great things happen.